Living separate and apart for a period is a prerequisite for most grounds for divorce in Virginia. The state broadly and simply defines separation as a continuous break from being husband and wife. Understanding how voluntary separation affects your divorce, as well as the situations in which the court can order a separation can help you better prepare for your Virginia divorce. Virginia recognizes separation as the only ground for no-fault ground for divorce. If you have children, the separation period is one year. If you have no children and a separation agreement, the separation period is six months. Although the separation must be continuous and not interrupted by resuming cohabitation, the law does not require that you and your spouse maintain different residences. This issue could arise in cases where renting or owning two dwellings is not economically feasible. However, if you do continue to live under the same roof with your spouse, you should take steps to demonstrate that you are indeed separated. These might include sectioning off portions of the home and eliminating financial interdependence by closing all joint bank accounts. With the exception of adultery, you are required to demonstrate a one-year separation period if you pursue a divorce under traditional fault grounds. The applicable fault grounds in Virginia are conviction of a felony with imprisonment of at least one year, cruelty causing reasonable apprehension of bodily harm, and willful desertion or abandonment. Although the lengths of time are comparable, the chief difference between fault-based abandonment and no-fault separation is that the latter is voluntary and mutual, while the former involves the stopping of cohabitation against the will of the other spouse. To obtain a divorce on the grounds of either cruelty or abandonment, you must wait until the year of separation passes before filing. In you are subject to cruelty or were deserted by your spouse, but have not yet met the one-year separation requirement, you can file for an immediate legal separation, which is referred to as a divorce from bed and board in Virginia. It differs from an absolute divorce in that you are not free to remarry after a divorce from bed and board. However, one benefit to this type of separation is that it represents an official order from the court to legally separate, which in cases of cruelty might mean ordering your spouse to leave the marital home. In addition, you may also request temporary orders from the court regarding property, spousal support and custody during the separation period. Once the separation period is complete, you may convert the action to an absolute divorce, and your case will move forward. Parties that voluntarily separate may also resolve matters related to property, support and custody without the assistance of the court through a separation agreement. These agreements are considered binding contracts. The court can use such an agreement as the basis for determining the parties' obligations after divorce. 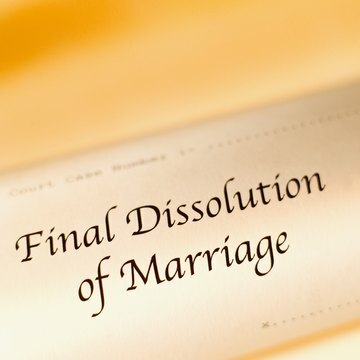 Although a judge will resolve these issues if you cannot agree, courts look favorably on parties that can resolve their disputes amicably, and you may effectively avoid mediation or other dispute resolution procedures that can slow the divorce process in Virginia. Hofheimer Family Law Firm: Can I Get Legally Separated in Virginia? How Long Do You Have to Be Separated to Get a Divorce in Virginia? If your marriage is no longer working, you have the option of filing for legal separation or divorce. Unfortunately, in Virginia, these options are not described in such a straightforward manner. Instead, legal separation is known as "divorce from bed and board," while an actual divorce is called a "divorce from the bond of matrimony." Considering the similarity in terminology, it's easy to get the two confused. To ensure you meet the requirements for a divorce, particularly the length of separation required, it's important to know and understand the differences between the two. Maryland offers an amicable divorce process for couples who can agree on all the terms of their divorce. This is known as an uncontested divorce and eliminates the need to prove that one spouse was the cause of the marriage's collapse. Further, by drafting separation or divorce agreements, parties to an uncontested divorce have more control over the terms of their divorce, avoiding the uncertainty in having these matters decided by a judge. Is the State of Maryland a No-Fault State for Divorces?